The Centre Maurits Coppieters in joint effort with the Home of Macedonian Culture from Lerin/Florina (Greece), and close cooperation with the European Free Alliance and its youth branch, the European Free Alliance Youth, organized the conference entitled “Bridges for Dialogue: THE MEDIATING ROLE OF CIVIL SOCIETY IN INTERNATIONAL DISPUTES”. 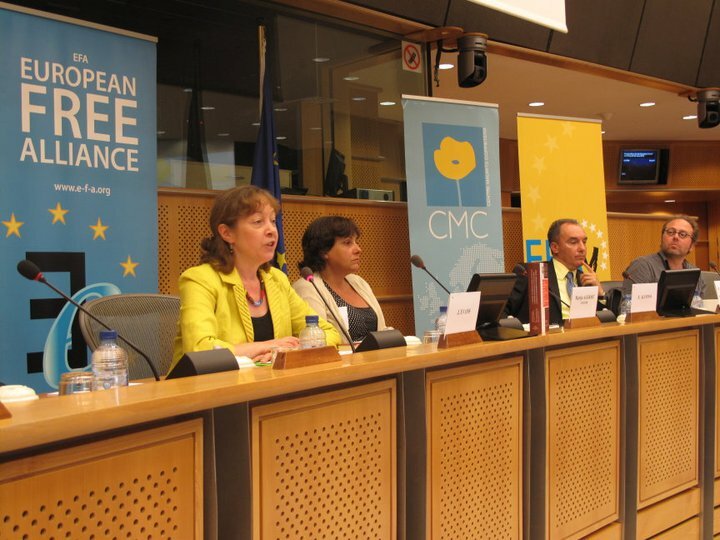 The conference took place in the European Parliament in Brussels on the 22nd of June 2011. It featured a presentation of the first Macedonian-Greek dictionary ever published in Greece, an important tool for advancing the linguistic rights of the Macedonian minority in Greece and promoting mutual understanding and dialogue between the two nations (Greek and Macedonian). The publishing of the dictionary was financed in part by the Centre Maurits Coppieters, a European political foundation that receives funding from the European Parliament for the implementation of its projects. The aim of the conference was to discuss the role of civil society and people to people contacts as facilitators of mutual understanding in the event of international rows. Inspiring speeches explaining the meaning of this publication from different angles (linguistic, cultural, political, economic) were given by Jill Evans, Greens/EFA MEP, Günther Dauwen, the Secretary of the Centre Maurits Coppieters and EFA Director, Marija Aleksic Ciceva, the Editor of the First Macedonian-Greek Dictionary published in Greece, as well as the Representative of the Home of the Macedonian Culture Pavlos Voskopoulos. 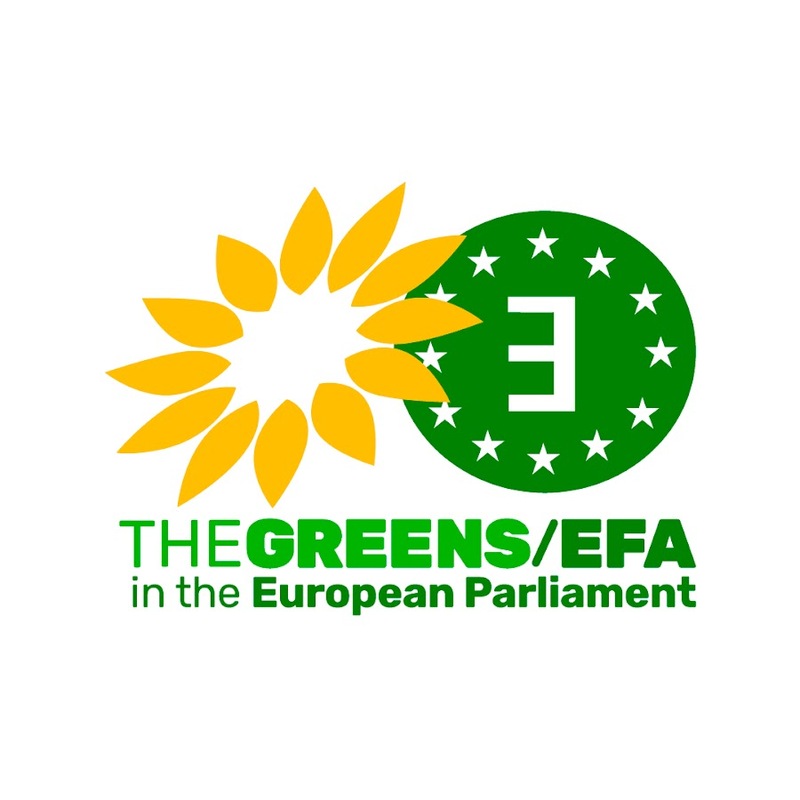 Despite the fact that Greece is one of the old Members of the EU it still has not ratified the European Charter for Regional or Minority Languages nor the Framework Convention for the Protection of National Minorities, and continues to have the worst record in the EU when it comes to respecting cultural diversity and minorities’ rights. The promotion of the first part of the dictionary (the Greek- Macedonian volume) took place two years ago in Athens and it was interrupted violently by the members of the Greek neo-Nazi group Golden Dawn. Click here to watch the video from the promotion of the Macedonian-Greek dictionary in the European Parliament. Click here to watch the video from the promotion of the Greek-Macedonian dictionary in Athens.